Attack 1 : EPIC WINNING TIME! 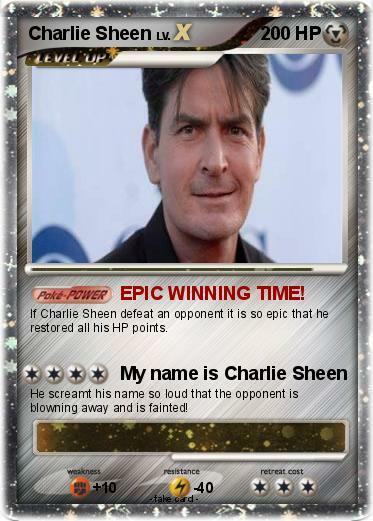 If Charlie Sheen defeat an opponent it is so epic that he restored all his HP points. He screamt his name so loud that the opponent is blowning away and is fainted!